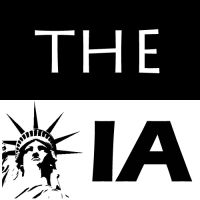 Invest Openly: Interview With The Owner Of "The Independent Abecedarian"
Interview With The Owner Of "The Independent Abecedarian"
After almost a month's gap, finally, I've gotten my 19th interviewee for my "Interview With The Fellow Investor" series. He is non-other than the owner of The Independent Abecedarian. Without further ado, let's check out CS' investing journey through his own words! A1 : Having studied Finance during my polytechnic days, this subject immediately pulled me in to study deep on how to obtain Financial Independence. I am an ambitious dreamer who wants to be a Web Developer, Financial Advisor and an Inspiring Writer. But most importantly, I vision to be Financially Independent one day. A2 : Having just started real investing just a couple of months ago, I am currently still a part-time investor. On the other hand, I have been trading the Foreign Exchange for around a year now and I am still observing if this could be made into a full-time job in near future! A3 : For shares, I started only around July this year through OCBC’s Blue Chip Investment Plan. The person who influenced me most to start investing is definitely my father. He currently trades options, commodities, Funds such as ETFs, as well as foreign and local shares. In addition, I got further persuaded by various local financial bloggers who influenced teens to start investing early (you know who you are). A4 : For shares, currently I am looking more of long term investment, such as my current portfolio where I will be holding the shares for 3-5years. However in a couple of years’ time, I would like to try trading with CFDs which allows me to leverage on my investment skills and capital. A5 : For long term investment, fundamental analysis is definitely the way to go. As for myself, I believe in investing in companies that provides products or services with solid demand even in financial crisis. I will be explaining my take for my current investment in near future (I’m already drafting it out)! A6 : My targeted rate of returns : 12 % p.a. A7 : My most recommended information rich Financial sites that I can guarantee that you’ll learn something out of each of them are here. It would be updated as I go whilst keeping and adding only the most valuable sites. A9 : My current investment portfolio is $7,000 excluding my emergency funds, where $4,000 are invested in 4 Singapore Blue-Chips and $1,000 in my Forex trading account. Thanks for the feature, Richard!